In the process of undertaking the baseline study of Trade and Transport Facilitation Monitoring Mechanism (TTFMM) in Bangladesh, five studies are carried out to provide multiple facets of trade and transport facilitation covering export and import of specific products, corridors and border crossings. A synthesis report is also produced based on five study reports. 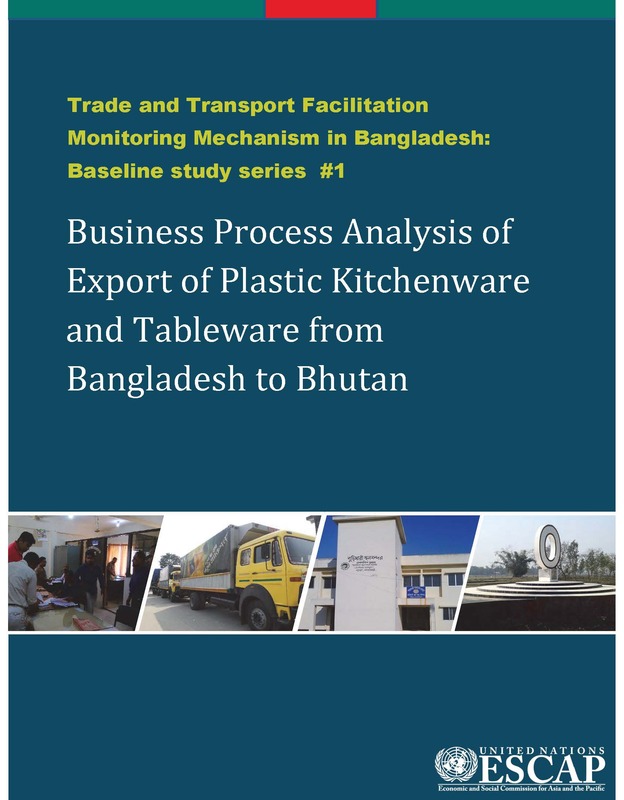 The current report examines trade process of exporting Plastic kitchenware and tableware from Bangladesh to Bhutan using Business Process Analysis (BPA) approach. It is a stand-alone document itself and in the meantime the 1st report of a series of 5 studies that feeds the synthesis report.